Wrap salt-drenched skin in positive vibes with the All Flored Kimono. 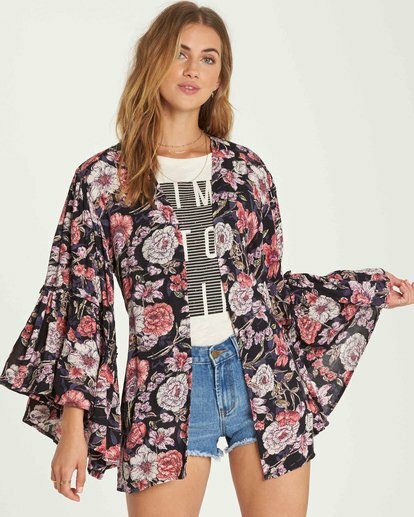 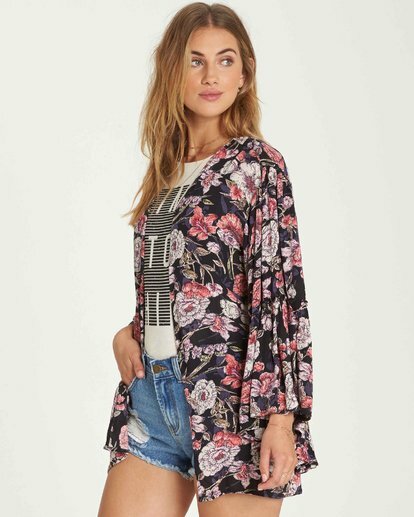 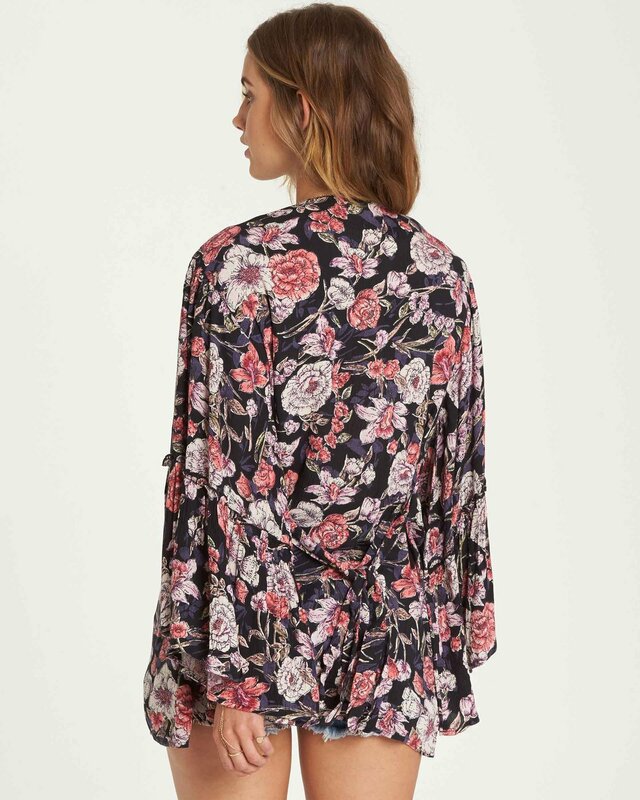 Made to toss over swim or summer outfits, this floral printed kimono wrap sends nothing but good vibes with exaggerated wide sleeves and a removable self tie belt. 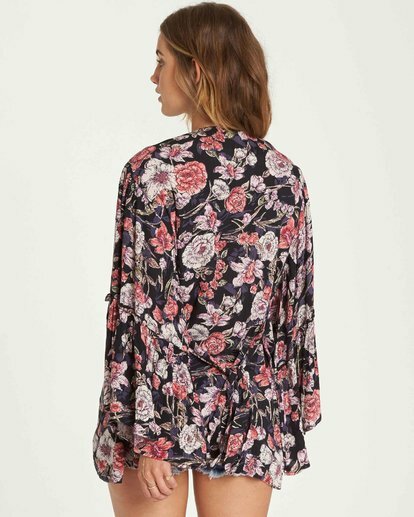 Self removable tie belt at waist.